Rijksmuseum i Amsterdam får økt publikumsinteresse og ny-programmerte apper igjen når de åpner sine data. Å gjø­re data til­gjen­ge­lig er rele­vant for de fles­te fag­om­rå­der i offent­lig sek­tor, ikke bare innen øko­no­mi eller fiske­ri. Nylig har jeg skre­vet fle­re artik­ler om hvor­dan insti­tu­sjo­ner som for­val­ter kul­tur­ar­ven arbei­der aktivt med å åpne sine data og digi­ta­li­ser­te verk for utvik­le­re og for all­menn­he­ten. Det­te gjel­der arki­ver, biblio­te­ker og muse­er. En av sake­ne går gjen­nom sta­tus på fel­tet og knyt­ter utvik­lin­gen til fore­slåt­te end­rin­ger i reg­le­ne for offent­lig sek­tors data. En annen sak tar spe­si­elt for seg erfa­rin­ge­ne det berøm­te Rij­ks­mu­se­um i Amster­dam har høs­tet etter at de ved års­skif­tet la om til en åpen­hets­lin­je. Råd­gi­ver Lizzy Jong­ma for­tal­te meg i et epost-inter­vju hvor­dan muse­et ten­ker om åpne data og til­gjenge­lig­gjø­ring av digi­ta­li­ser­te verk. Neden­for er inter­vju­et i sin hel­het. 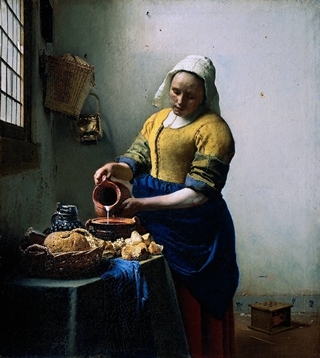 Et eksem­pel muse­et bru­ker er Jan Ver­me­ers «Melke­pi­ken» (The Yel­low Milk­maid) fra ca. 1660. Mes­ter­ver­ket fan­tes i tusen­vis av kopi­er på net­tet, de fles­te dår­lig utfør­te repro­duk­sjo­ner som ikke yter ori­gi­na­len rett­fer­dig­het. Ved å leg­ge ut sin egen kopi i høy opp­løs­ning håper muse­et å mot­ar­bei­de en slik uhel­dig utvik­ling, som har ført til at besø­ken­de i muse­ets butikk ikke tror post­kor­te­ne viser det rik­ti­ge bil­det! Could you descri­be how pub­lish­ing a high-res. ima­ge with open meta­data hel­ped? What kind of effects has it had? Lizzy Jong­ma: «Sin­ce we star­ted pub­lish­ing our meta­data with a URL to our high/higher res ima­ges (the ima­ges are jpegs with a file size up to 5mb/ 300 dpi. We have Tiff ima­ges in much hig­her reso­lu­tions but we don’t put these ima­ges online) we’ve had a lot of atten­tion for our col­lection. From media, from app buil­ders, pro­gram­mers and from our colle­agues. Their main focus was with the fact that we shared our high res ima­ges online with a CC-BY licen­se. It has hel­ped us tremen­dous­ly in pro­mo­ting our (online) col­lection. We want eve­rybody to know (parts of) our col­lection and use our digi­tal col­lection for any/your own pur­po­ses: if you want to do a power­point about Ver­me­er or Rem­brandt, then please use our ima­ges and infor­ma­tion inste­ad of the ugly and bad ima­ges that are on the inter­net (that is what we mean with the Yel­low Milk­maid anecdo­te. If you use Goog­le ima­ges to find this pain­ting of Ver­me­er, then you will find very ugly ima­ges that don’t do any jus­tice to the beaut­i­ful, fresh ori­gi­nal pain­ting). We are a pub­lic insti­tu­tion and it is our mis­sion and goal to share our col­lection and know­led­ge with eve­ryone. We have seen an increase in visi­tors to our online col­lection. And we also bene­fit from that: we get e-mails eve­ry day from experts in all sorts of fields that help us anno­ta­te our col­lection or cor­rect us if we’re wrong. Sin­ce we put an API online (for devel­opers and pro­gram­mers so that they can inte­grate our col­lection in their own appli­ca­tions or web­si­te) we’ve had over a dozen new (free) apps built with our col­lection. Some are nice and some are real­ly use­ful and inno­va­ti­ve. On www.rijksmuseum.nl/api you can find a list with apps. Arky­ves built a great app: an ico­no­grap­hic brow­ser to search our col­lection the­ma­ti­cal­ly. The brow­ser is avai­lab­le in Eng­lish, Ita­li­an and French. Our col­lection meta­data is in Dutch and this is the first inter­na­tio­nal entry to our col­lection! 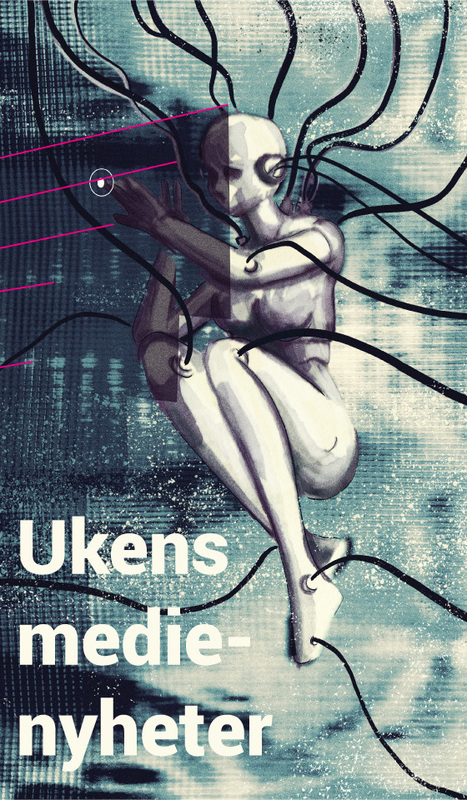 AB_C Media built a «faces of the Rij­ks­mu­se­um» app: using face rec­og­nition soft­ware they were able to iso­la­te all the faces on our pain­tings. This can help us in crea­ting more spec­i­fic, more detai­led descrip­tions of our pain­tings (for instan­ce pin­poin­ting eve­ryone on the Night­watch). Are the­re now fewer bad copies around on the web? Do more peop­le find the high-res ima­ge on your web­si­te and is it being repub­lis­hed on other sites? In gene­ral, what is the Rijksmuseum’s poli­cy regar­ding pub­lish­ing meta­data and making pub­lic domain works avai­lab­le? How will making more data and con­tent avai­lab­le help your work? «The Rij­ks­mu­se­um poli­cy is (as said) about sha­ring our col­lections and know­led­ge with eve­ryone (if pos­sib­le: we do have to stay wit­hin copy­right boun­da­ries). We now have 100.000 objects in our Open data col­lection (all with ima­ges) and 250.000 objects (not all with ima­ges) in our online col­lection and we will con­ti­nue to digi­tize our col­lections as part of our dai­ly work. Sha­ring helps us to pro­mote our col­lections. The pub­lic wants to see our col­lection, crea­te new pro­ducts, build new appli­ca­tions (show­case appli­ca­tions with our col­lection) and share know­led­ge with us about the col­lection. Open Data didn’t chan­ge our work (we were alre­ady digi­ti­zing and anno­ta­ting our col­lections) and it helps us fulfil­ling our mis­sion and goals.